royceBIRTH returns, with a sound that deviates away from his typical sound. 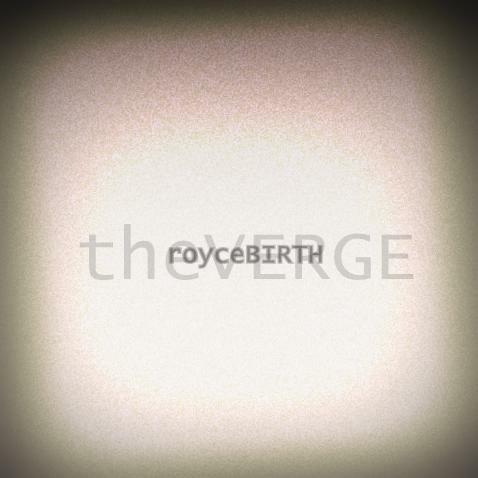 The Verge, is the lead single from royceBIRTH's upcoming EP, "Departures" (Due Fall 2012). royceBIRTH, known to be rooted in traditional Hip-Hop, describes "Departures", as an album based on risk taking, presenting the unexpected, and welcoming challenges through music. The Verge, talks on personal adversity, and having the fearlessness to overcome life's struggles, reminding the listener to continue striving for greatness.